In this episode on the “10 Essential Lessons for Life,” we discuss the hard truths of natural consequences, and how this exactly what we as adults deal with on a regular basis. Learn three tips to ensure you are using natural consequences correctly in your life, and your children’s. Do you have a clear vision for your family? 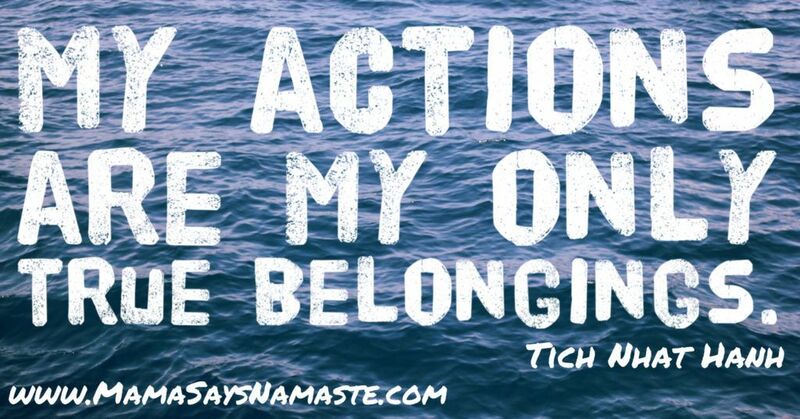 Check out www.MamaSaysNamaste.com/family-vision for a refresher on this. Remember – unspoken expectations are premeditated resentments! Clearly communicate with one another – this is so huge for a thriving family. Go to www.MamaSaysNamaste.com/podcast and ASK US ANYTHING! Share your thoughts and feedback. We love hearing from you! Natural consequences are simply a reaction to your behavior. 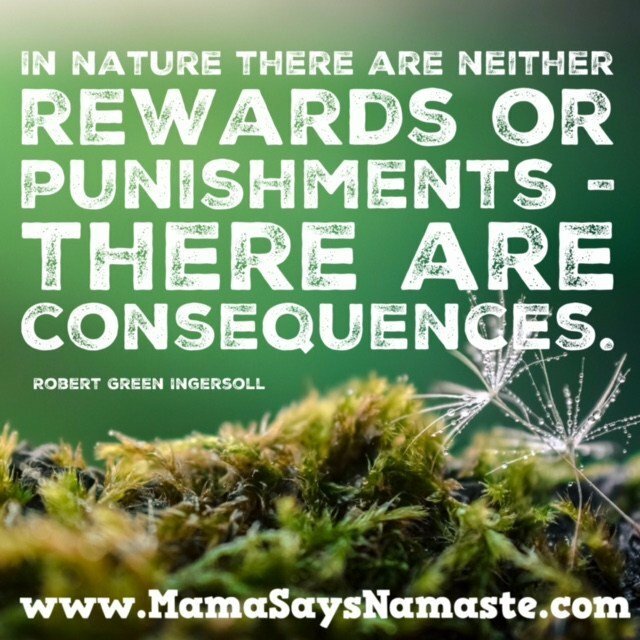 In nature there are neither rewards or punishments; there are consequences. We only have so much energy every day. We need to make sure we aren’t “on” as parents 24/7. Parenting is not a sprint; it’s an ongoing marathon – so pace yourself. Are you robbing your children of them having natural consequences due to your own fears of them falling…or failing? Food doesn’t always have to be readily available. Sometimes things aren’t in season…both in nature, and what is offered at the dinner table. It’s okay to draw a line on food battles and allow your children to feel the natural consequence of a hungry belly. Be careful about passing your fears onto your children. Or your pickiness. You are their example for how to navigate this world. And them seeing you experience the natural consequences of life is a powerful lesson for them. When you show your own brokenness to your children, it allows them to see you as human and not simply on a pedestal…which can be a long fall down when they actually DO realize you’re human. Do you need that outside perspective in your own life? Do you need someone to help you be accountable to your dreams, to affirm you and support you, and to challenge you to grow and not simply wait for “one day”? 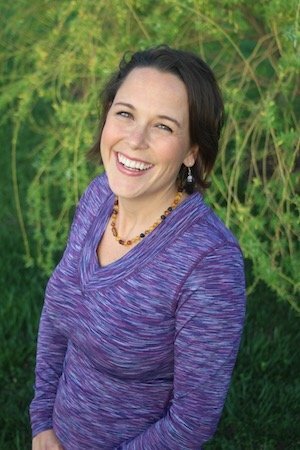 Check out www.MamaSaysNamaste.com/coaching. Email me at ashley@MamaSaysNamaste.com with any questions you may have. 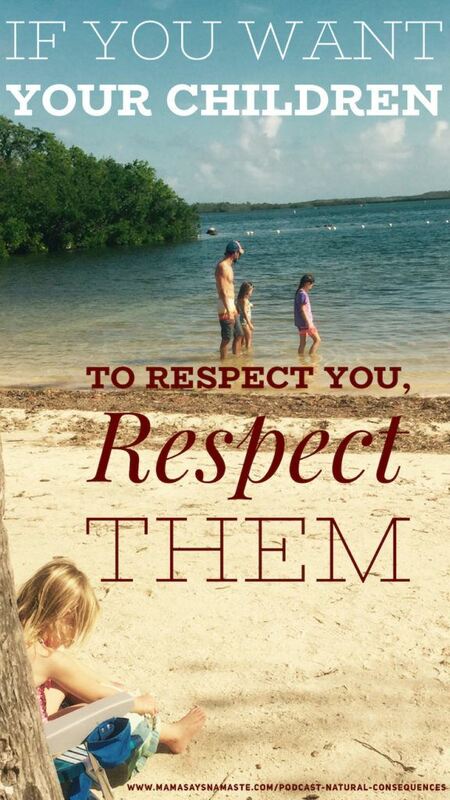 If you want your children to respect you…respect them. Every action has a consequence. Weigh what you are willing to do and accept the consequence. What will you risk? Your children are watching. There is always an impact that happens when decisions are made. People are impacted by the decisions you – and your children – make. The decisions we make – and the actions we take are our only actions in this world. 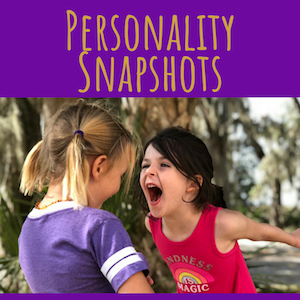 Your challenge – share a story with someone younger than you about a natural consequence you experienced in your own life.